ELNA JEAN FORSYTH finished her mortal journey on September 14, 2017 and joined her sweetheart Garth, who predeceased her on February18, 2016. Jean was a country girl who loved the sunshine and the soil. Her love for flowers showed in her gardens and well kept yard. Jean was born to William David and Elna (Bohne) Campbell on Sept 16, 1930 in Cardston, Alberta. She spent her growing up years in Hillspring, Alberta where she made many happy memories camping in the mountains, picking berries, fishing, and enjoying nature. Her love for the outdoors was later manifest in her paintings, with Old Chief mountain being her favourite subject. Jean worked as cook at the Rothe ranch in the summer of 1948 where she met her handsome cowboy, Garth Dean Forsyth son of Neil Snow and Chloe Roseltha (Hatch) Forsyth. Garth and Jean were married on October 14, 1948 in Hillspring. In 1951, on the ninth of January, they were sealed for time and all eternity in the Cardston Alberta Temple. They raised a large family with most of their married years spent in the Kimball valley where they enjoyed many friendships with families in the area. Jean was always busy gardening, bottling fruit, sewing clothes, tying quilts, and baking bread. Neighbours were blessed by her kind acts of service. Garth and Jean served a mission at the Family History Center in Los Angeles California in 1993-1994. She also served in many church callings including positions of leadership in the Aetna Ward and the Blood Branch. She was a faithful visiting teacher and made her last visits the day before she passed away. From a young age Jean loved being with children. She was considered a prime choice for a baby sitter in her younger years so it is no wonder that her children and grandchildren were her main focus and brought her much joy. They were always welcome to join her anytime at work or at play. When the family was together it was not unusual to hear Jean's giggle as she watched the grandchildren play. Her large posterity have been blessed by her patient, kind, and cheerful example. Jean is survived by her 10 children, Rex (Betty Lou); Gene (Debra Lyle); Randy (Kathy); Tim (Sherri); Linda (David) Ames; Shane (Sharon); Necia (Richard) Kittler; Scott (Teri); Becky (Kevin Penner); and Bonnie (Darcy) Erickson; her foster son Wilfred (Charlotte) Marks Sr.; 52 grandchildren, 141 great-grandchildren, and one great-great granddaughter. She is also survived by three brothers: Allen (Anna), Darrel (Edith) and Wendell (Debra) Campbell; and three sisters Ruth Barton, Flora Lee and Colleen Hummelle and sisters-in-law Nonavee Campbell and Glenda Campbell. She is preceded in death by her loving husband, her parents, three brothers: Walton (Phaedra), David, and Blaine Campbell; one sister: Annetta Lou Campbell; a brother-in-law: LaVerne Hummelle; a sister-in-law: Wendy Campbell; a daughter-in-law: Karyn Forsyth; two granddaughters: Tausha and Marie; and one great-grandson: Clayton. The family expresses appreciation to all those whose kind words, visits, sincere regards, and reminiscing, cheered and lifted her recently. We also express gratitude to nurses and staff at the Chinook Lodge and at Lee Crest who took such good care of her this past year and a half. 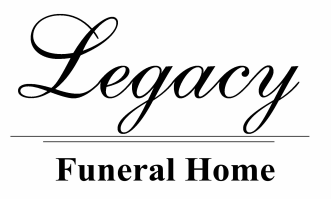 ​Family will greet friends at the Legacy Funeral Home, on Thursday, September 21st from 7:00 to 8:00 p.m. or at the church from 10:00 to 10:45 a.m. prior to the service. The Funeral service will be held at the Church of Jesus Christ of Latter-day Saints, Cardston Alberta West Stake Center, 846 1st Ave W, Cardston, Alberta on Friday, September 22nd, 2017 at 11:00 a.m.